Not all essential oils are created equal and since there are no official regulations they can be filled with synthetic fillers as well as where they are grown is SO important. Please read more on doTERRA’s Healing Hands Foundation and Co-impact sourcing on their new sourcetoyou page, to see just how much difference they are making around the world and what really sets them apart from all other essential oil companies. 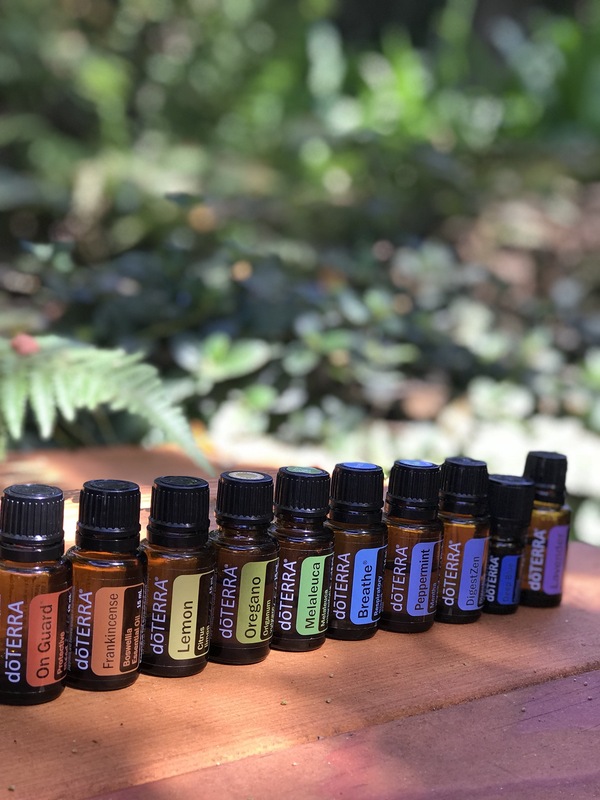 Why did I start with doTERRA? For the most part people in this company who are actively growing their business didn’t start out that way. I know for me I started with this company in March of 2009 with no intention to sell or to be apart of doTERRA in this way. I just knew I needed Citrus Bliss oil in my life and I went from there…I really didn’t understand or want anything to do with selling or a network marketing company. It wasn’t until I realized how much I loved these oils and how much I wanted to share them with everyone… so years later I had a change of heart. I signed my first friend up in 2012 and really didn’t begin to take my business seriously until 2014. Once you understand how to make money with doTERRA it’s an amazing combo of helping people and making a full-time income from home. Obviously, it takes a lot of hard work and patience…but at the end of the day you get what you put into it and you are helping people feel better emotionally & physically. Why doTERRA? CLICK THIS LINK TO READ MORE ON THE DOTERRA DIFFERENCE All of the following info is found on the following pages but I made some screen shots for you below for you to see…you can click the links for the full info. doTERRA’s company fact sheet, please click this link to view. Here is the most recent 2015 Opportunity and Earnings info, click here! Instead of doTERRA spending all of their money advertising on television and the Internet…they have Wellness Advocates (formerly known as Independent Product Consultants) to teach and share their oils & other products. The oils need to be experienced in person for the most part in a classroom setting or a one-on-one meeting with family & friends. You need to have guidance in order to learn how to use the oils safely in your home and with your family. So they have set it up as a network-marketing model in order to make the most profits and in turn allows them to give us an amazing compensation plan. Compensation plan breakdown – please don’t be overwhelmed by all the numbers…I can help walk you through all of this! Click here to view. Below is a breakdown of time spent and the potential money you can make from the Hol-Fit document…she is now a Presidential Diamond! Follow her if you haven’t already, Ange Peters from Hol-Fit! Click here to view her full wellness advocate document. Side note: You don’t have to be a sale-sy person in order to make an income with doTERRA. This is a business that is formed out of a personal love of the oils and it happens organically over time. Once you experience how much these oils help you emotionally & physically you can’t help but want to share even if it’s just a few hours a week enough to pay for the oils you use or if it’s 20-40 hours a week for a part or full-time income. Whatever works…it’s completely flexible.